Personalized Cuff Bracelet Just $9.99! Down From $40! You are here: Home / Instagram / Personalized Cuff Bracelet Just $9.99! Down From $40! This beautiful Personalized Cuff Bracelet is now on sale at Jane for just $9.99 down from $40! Shipping is $3.99 for the first item and $1.99 for each additional item! 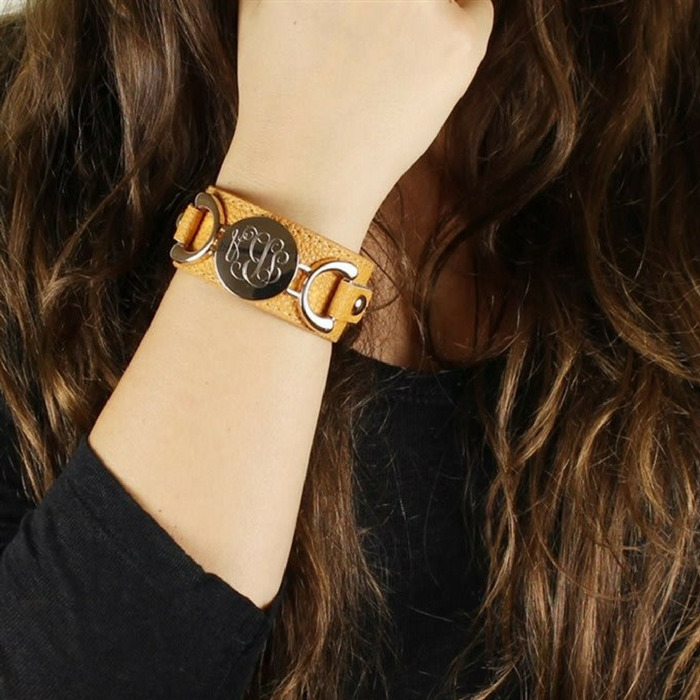 This Personalized Leather Cuff Bracelet is sure to make a statement whenever you wear it. With a choice of 13 trendy colors, you are sure to find one that suits you. Choose from 3 different styles of monograms or have your name engraved on it. The bracelet is adjustable and fits most ladies wrists. They also make great gifts which is perfect this Christmas season!